The traditional micro-finance model of group lending does not work in the United States, but helping people raise their credit scores, encouraging saving and helping people manage their loans and repayments are alternative approaches to reducing the problem of under-banking that are not only more effective, but are also potentially lucrative. 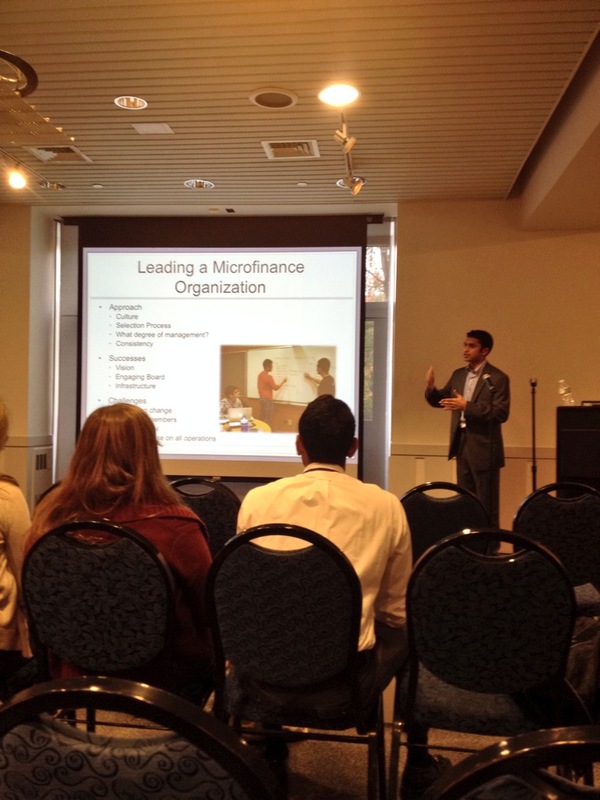 These were my takeaways from the Lend for America Summit I attended in October, a conference of student-run micro-finance organizations at Universities across the United States, through my association with The Concourse Group. Before I talk about the opportunities I mentioned above, I want to explain what the under-banking problem is, why traditional micro-finance tools are not alleviating the problem. Someone is under-banked if they are inside the financial system, but are under-utilizing the available banking services, either by choice or by restriction. Typically these people will not own savings accounts and sometimes not even a checking account, will have no or extremely limited access to credit, and are not able to obtain loans through mainstream banks and financial institutions. As a result, these people are forced to resort to check-cashing services, pawn shops, payday lenders and loan sharks. These services are always more expensive than traditional banking services. Payday lenders offer short term loans with preposterously high Annual Percentage Rates (sometimes as high as 7,000% APR) to those who lack access to credit. There are countless stories of people who have taken out a loan from a loan shark in order to pay back another short term loan, and it becomes a vicious cycle which is nearly impossible to escape. Check-cashing services are just as bad, simultaneously taking a considerable chunk of each of their customer’s paychecks, increasing the potential loss these customers would face in the event of a robbery or mugging, and restricting their customers to the cash economy. This may sound like a minor problem affecting just a few people, but the Federal Deposit Insurance Corporation (FDIC) conducts a bi-annual survey which reveals the shocking prevalence of unbanked and under-banked households in the US. The headline numbers: 20.1% of all US households are under-banked, representing 51 million Americans; one quarter of US households have used at least 1 Alternative Financial Services (AFS) product in the past year, and 1 in 10 have used 2 or more AFS products; 29.3% of households do not have a savings account, while a staggering 10% of households do not even own a checking account. So why do so many people use these services? The most common reason that households use AFS products is convenience, as consumers value the speed and relative ease of obtaining short term loans. Consumers are also wary about bank fees that can be charged if they end up entering their overdraft or sinking below their minimum balance requirements. There is also a mental element, with some consumers being intimidated by the corporate nature of mainstream financial institutions. So, given that background into the problem of under-banking, why can’t traditional micro-finance lending techniques help to solve the problem? The key insight made by Muhammad Yunus when he began making micro-loans in Bangladesh was that delinquency rates could be reduced and the risk associated with the loan could be mitigated if a loan was split amongst a group of people who were accountable to each other to ensure the made repayments. Additionally, Micro-finance institutions such as Dr. Yunus’s Grameen Bank in Bangladesh, have typically made successful loans in countries in which the mainstream banking system is under-developed, inefficient or corrupt. As a result, micro-finance institutions are able to serve customers who are credit worthy, but don’t have a banking system that can serve them. These two factors that make Micro-finance so successful – social accountability and inefficient mainstream banking systems – don’t apply to the US. The very individualistic nature of US citizens and an efficient banking system are the reasons that micro-group lenders have found little success in America. At the Lend for America summit I attended, the Yale micro-finance group The Elmseed Enterprise Fund gave an overview of their loan portfolio, and while I can’t recall the specific percentages, a majority of their loans were delinquent, and they anticipated a very material proportion of their portfolio to default. When I asked the fund’s CEO how Elmseed ever intended on achieving sustainability, she told me that financial sustainability was not the fund’s main goal, i.e. they are effectively operating as a charity, running a Robin Hood redistribution scheme which sees rich Yale alumni fund small amounts of community development in New Haven under the guise of making “loans” to entrepreneurs. I have nothing against charity, but if a micro-finance institution cannot be financially sustainable then it never has any chance at addressing the under-banking problem at scale. Clearly, the people to whom these micro-lenders are lending could not obtain a loan from a bank for a reason. The key then, is not to try and compete with the existing banking system, as that is a losing game. Instead, the best way to address the under-banking problem is to work with the existing banking system, adapting bank offerings to better align with the needs of the under-banked and working with the under-banked to help make them better customers for the banks. Raising credit scores, encouraging savings, and personal finance consulting are three ways that I believe will help bring people into the existing banking system. These are revenue generating opportunities for banks which means that they are potentially lucrative opportunities for anyone who can effectively execute them at scale. How are we going to take advantage of these opportunities? That is the question I will leave to you. Please get in touch if you have any ideas or have seen examples of people tackling the under-banking problem in innovative ways. This is a problem that need not exist in an economy such as the US, so lets get to work eradicating it. Financial education is definitely one of the tools to greater financial inclusion, I agree. The traditional microfinance model of group lending has and does work in the US. I suggest reading ‘banker to the poor’ if you haven’t already, where Yunus discusses WSEP in Chicago. Microfinance exists because of the very barriers to entry that banks have put in place such as credit scores and requiring collateral. I don’t pretend to know much about the US but I can’t see people who are under-banked paying for personal finance consulting. Many probably don’t save because they can’t, they live day to day. The idea of microfinance is to provide people with opportunities that the banking sector won’t give them because of its own policies and incentives, then they might have the ability to save. I also dislike the idea of banks making more profits haha. I actually just had my own ramblings about this in my own blog. I really enjoy reading your ramblings and keep the thoughts coming!